As a pioneer and leader in the embedded market, Advantech manages close relationships with partners in the embedded ecosystem to enable accurate technical development in the early project stages. 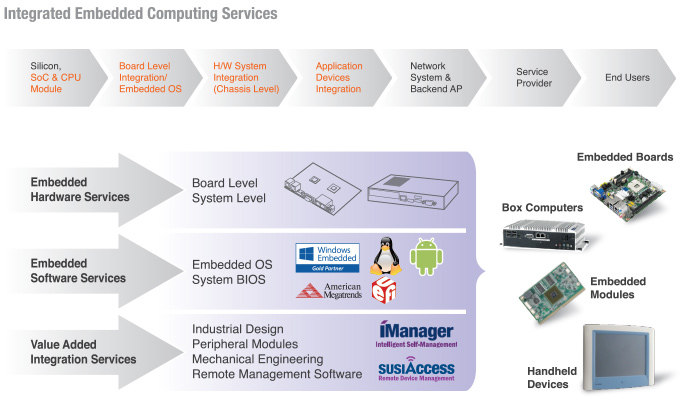 Only Advantech is confident to serve you with integrated Design-To-Order Services with leading embedded computing technology. Advantech provides fully-featured off-the-shelf products that meet the fundamental requirements of customer applications. Advantech's board design covers a wide range of industrial applications, thanks in part to access to chipset manufacturer's roadmaps as well as our own intellectual property. Advantech's standard platforms include choices of x86 (Intel®, AMD®), RISC (Freescale i.MX series, TI OMAP series) and DSP technologies. 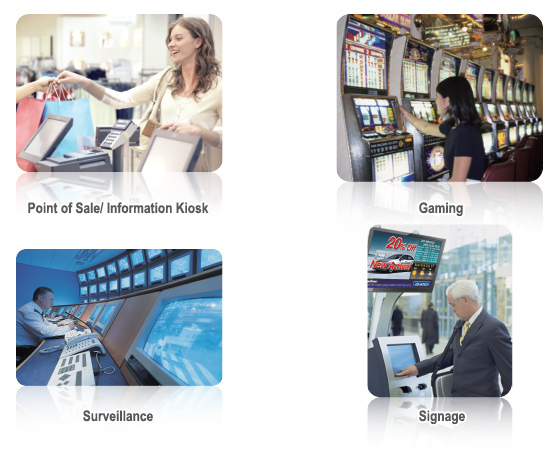 Advantech has been involved in this industry for many years, serving a variety of specific fields including: Point of Sale, Information Kiosk, Gaming, Surveillance, Digital Signage, Medical applications and more. Advantech partners with experts in each vertical domain, growing and learning from each other in a way that allows design know-how and expertise to quickly accumulate. For this reason, DTOS teams are very familiar with system integration, and electrical & mechanical design in each vertical field. From project start to final production, the project cycle takes a minimum of a couple of months. Value-added services, documented product life-cycles, and solid cross-functional operations are a part of the product design and validation. Careful project management is used to control each step of the process in a clear and organized manner with input from all parties. The result is a solution that meets all the customer's requirements.